Begin your next adventure with this attention go-getter. 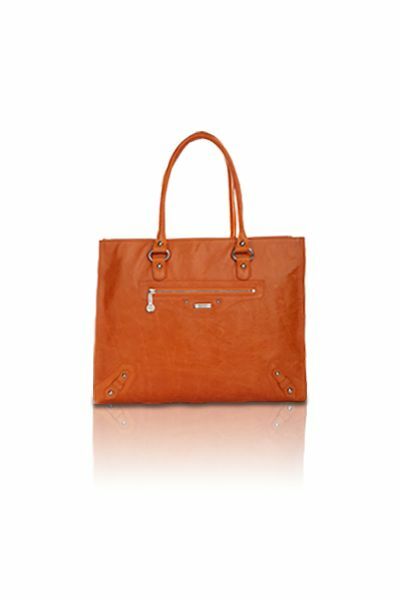 Soft and supple calfskin leather body with silver hardware. Meticulous, hand-crafted embellishments on the exterior adds an artisanal flair. Exterior is adorned with a silver RIONI Moda Italia emblem. A front and rear zippered pocket adds easy accessibility. The top zipper closure opens to an interior lined with a goldenrod RIONI monogram print fabric. Features an interior side zippered pocket, a cell phone pouch, and a side pocket for organization. Comes with a detachable shoulder strap. L11.5 x W8 x H10"
Product: Easy Carrier Bag (Purple) was added to cart.